Clear Braces can straighten your teeth without the use of actual fixed braces and archwires. The name clear braces is somewhat misleading, because it is NOT actual braces but a series of clear retainer appliances generated with 3-D computer image technology. 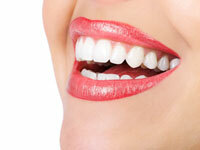 As implied by the name, retainers are used to hold teeth in place, or in some cases, accomplish limited tooth movement. A specific sequence of clear tray retainers are worn to align the teeth in small increments. Total treatment times and number of appliances vary from case to case. Clear brace results can vary widely. Case selection by the doctor and patient cooperation is imperative for success. As with all types of removable appliances, that can be lost or not worn as directed. Difficult cases are best treated with conventional braces. To discuss a clear braces solution in the Mentor OH area, please feel free to contact us to schedule an appointment.